Let us introduce sunglasses-shop.co.uk. 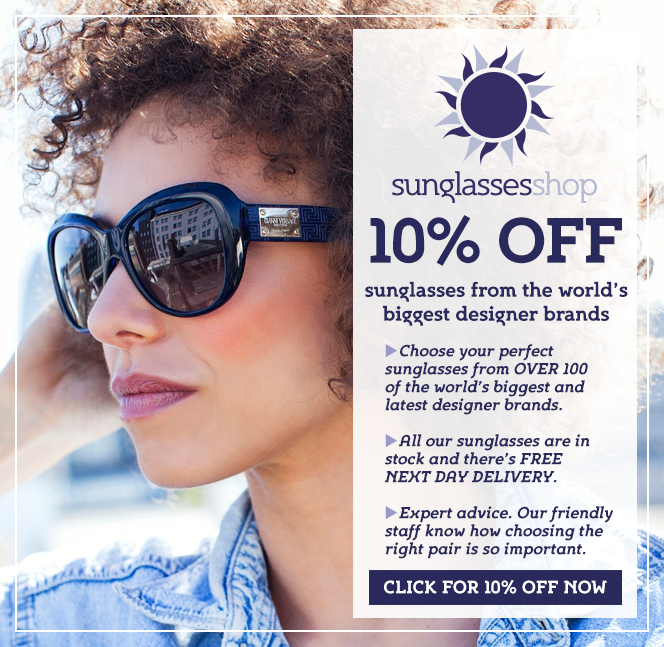 They have the UK'S biggest, best and most up to date range of the latest season's designer sunglasses & designer brands. All available with prescription lenses. Or turn any frame from Glasses Direct into sunnies by adding tinted lenses for just £10.